Jealousy Incarnate (2016), a rare pre-produced in its entirety Korean drama, earned an A+ grade from me because of how engrossed I was in its story for three months' straight. It had personal meaning for me for two reasons: one of the male characters is diagnosed with breast cancer and I struggled against that disease myself a decade ago, and because one of the first online friends I ever made was a kind older man named Ed who died from breast cancer. When shows hit home with you for personal reasons you perhaps understand where they are coming from far more than people who have never gone through a cancer fight themselves. Also, I will watch any Korean drama or movie that superb actress Gong Hyo Jin signs onto, for she has a keen eye for scripts that go far deeper than telling just another typical love triangle story; the screenplays she picks almost always have some kind of socially important theme to promote. 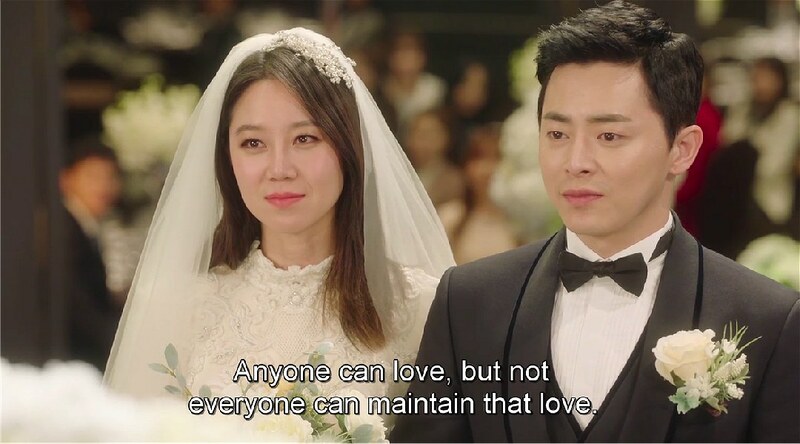 For instance, with It's Okay, That's Love it was mental illness and its effects on people's lives, in Pasta it was shining a light on unfair labor practices against women employees (the writer of Pasta, Seo Suk Hyang, also wrote Jealousy Incarnate), in Snowman it was pointing out the unfairness of an archaic Korean law prohibiting former in-laws from marrying after their spouses die, in The Greatest Question it was promoting the idea that people with chronic illnesses like heart disease deserve to be loved too, in Sang-Doo, Let's Go To School it was promoting the idea that ex-cons can go back to school, educate themselves, and find decent jobs, instead of being sucked back into lives of crime once released from jail.  For Jealousy Incarnate it was to educate the Korean public that not just women get breast cancer, that it's becoming more common in men all the time. This drama was so sophisticated and impressive to me that I had to look up the director's name, and it turns out it was no surprise why I loved it, for it was Park Shin Woo, who directed several dramas I loved, including Angel Eyes, Hyde, Jekyll and I, and Queen Of Ambition. This guy is brilliant. Another interesting aspect of Gong Hyo Jin's acting is that she often steps back in scenes and lets her leading men shine, instead of just herself. That's why every male actor in Korea wants to work with her. For instance, superstar Kim Soo Hyun (My Love From Another Star) passed on a longer drama which would have given him more prestige, for the chance to act opposite her in a mini-drama of twelve episodes called Producer, and then he ended up getting the Baeksang Award (highest acting achievement) for his performance. She stepped back once again and let him shine, in scene after scene. Such generosity quickly becomes known in the business. Now the same thing happened with this 2016 drama, Jealousy Incarnate; her co-star Jo Jung Suk was allowed to give an outstanding performance that even stole the limelight away from Gong Hyo Jin and her character in many scenes. She no doubt understands that if your co-stars are allowed to shine then that improves the drama's exceptionalism for everyone involved. With a servant attitude like hers it's no wonder she is in one outstanding drama after another. The Story: Pyo Na Ri (Gong Hyo Jin) has been her Seoul broadcast station's weather girl for several years, but she has ambitions to become a nightly news anchor. She comes from a modest background, went to a third rate college instead of a top of the line school, and so she has had to work doubly hard to impress the people she works with on a daily basis, the news producers, writers, crew, cameramen, and news anchors. She also has to put up with a lot of indignities, like news producers who shout into her earphone to bend over and stick her fanny out while giving the weather to the nation. Sexist! She has had a not so secret crush for three years on proud loner Lee Hwa Shin (Jo Jung Suk from King 2 Hearts and Oh My Ghostess) the station's main anchor, but he has never given her the time of day. Lately he has been working in Thailand on a project and Pyo Na Ri is sent there with a small crew on a temp job, where she meets Hwa Shin again and has to fill in for the missing makeup and hair girl. While she's working on his appearance for the planned camera shoot, and he changes his shirt, she inadvertently cuts him with her nails and in trying to apply a bandage she feels some swelling in his chest and keeps insisting that she feel it again. He, of course, simply thinks she's coming on to him, since he is clearly aware of her old crush on him, but nothing could be further from the truth. Her own mother had died from breast cancer and she recognizes that part of his chest feels abnormal. He shakes her off at first but since she keeps harping on the subject he slowly begins to doubt himself and wonder if she could be right. During this time in Thailand Hwa Shin also meets up with his male friend from childhood named Go Jung Won (Go Kyung Pyo from Tomorrow's Cantabile and Operation Proposal), a young chaebol who runs several businesses, including a designer clothing line. He had coincidentally sat next to Pyo Na Ri on the flight to Thailand and while he napped she kept staring at him, thinking him handsome. He's the first man she's shown an interest in since her crush on Hwa Shin and so we eventually have our inevitable love triangle coming into focus more and more as time passes and the three of them cross paths frequently, in Thailand, and eventually when they all go back to Seoul, Korea. As sparks develop between Jung Won and Pyo Na Ri, Hwa Shin inexplicably finds himself jealous, and wonders why, since he's never shown Pyo Na Ri the slightest bit of interest and at times had even been cruel to her. Worried about her words regarding breast cancer he finally decides to see a female doctor named Geum Suk Ho (Bae Hye Sun) and, in shock, discovers he has Stage One breast cancer. He is told that he is lucky he found it early enough so that a cure is likely, and he begins to feel grateful to Pyo Na Ri for the first time in his life. Pyo Na Ri is the only person at the broadcast station he can trust with the information (he's afraid he might be fired if the top brass find out about his condition) and she is tremendously supportive, going to all his medical appointments with him and pretending she is the patient so that others in the diagnostic halls of the hospital don't recognize him as the real patient. 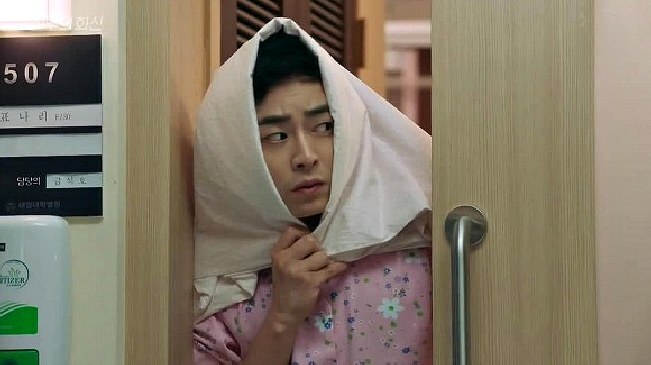 (Just as an aside I found it amazing that actor Jo Jung Suk actually agreed to a real mammogram for the series, and so in the scene where he is being x-rayed and shows visible pain ... it's real!). As well as the people at work, Hwa Shin keeps the breast cancer news from best friend Jung Won, also his mother (Park Jung Soo) and his niece Palgang "Red" (Moon Ga Young from EXO Next Door and Mimi). When it's time for Hwa Shin to get surgery and he is admitted to the hospital, Pyo Na Ri also needs to go to the hospital for surgery since she has a small benign tumor she needs to have removed from her breast. Bonding over this experience of sharing the same hospital room and having surgeries at the same time, Pyo Na Ri and Hwa Shin become closer, even though she has started tentatively dating his best friend Jung Won, who has become smitten with her too. The "jealousy incarnate" monster invades every aspect of Hwa Shin's life now, and whereas for three years he had avoided Pyo Na Ri like the plague, now he finds himself deeply in love with her in earnest. Later he even dares to ask her to date him but she thinks he's joking because he's drunk. does Pyo Na Ri still care about Hwa Shin? Pyo Na Ri has a weather job to do by the seaside and goes solo without her two pursuing "knights". While there she decides to dig for octopus for her 19 year old student brother named Chi Yeol (Kim Jung Hyun from my favorite short drama Bing Goo) who lives with her after their mother's death. She thinks he'd love a great octopus meal when she gets home. In an amazing scene both Hwa Shin and Jung Won arrive at the beach at the same time in pursuit of her and while she is paying attention only to her digging both Hwa Shin and Jung Won engage in an epic mud battle right behind her! I find this incredible scene evidence of how well the Korean entertainment industry perfectly combines humorous scenes with moments of pathos. One can almost feel poor Hwa Shin's desperation to keep Pyo Na Ri from knowing the depth of his new admiration for her. Hwa Shin returns home to recover from the painful knowledge that Na Ri and Jung Won seem to be enamored of each other, but in an inexplicable turn of events Na Ri discovers the truth of Hwa Shin's feelings for her, in a most unusual way. Their relationship becomes explosive and during a medical appointment they both kiss passionately. What will happen now? Eventually Jung Won learns the truth and he becomes combative against his old friend. Pyo Na Ri comes up with the strange idea that all three of them should live together in Jung Won's fancy house until she can figure out who she truly loves. Next it's Pyo Na Ri's chance to become jealousy incarnate when Hwa Shin's female co-anchor at the station Hong Hye Won (Seo Ji Hye from 49 Days) comes on to him and kisses him, witnessed by Na Ri. 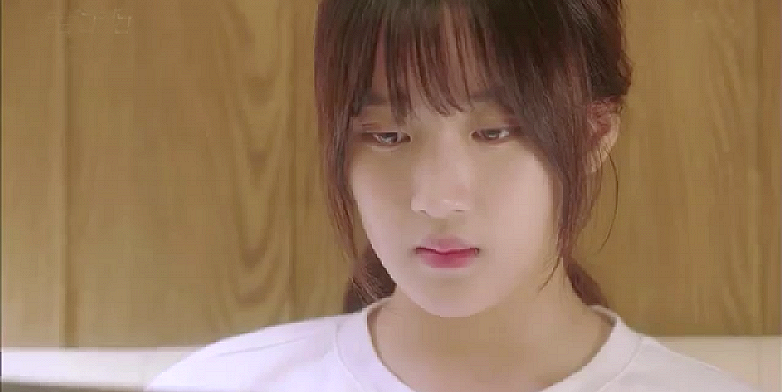 She finally admits to herself that it's Hwa Shin she has loved all along. Sometimes jealousy is useful after all! Things become intense at the station too as rumors start to circulate that Pyo Na Ri might have breast cancer, which could cost her her job. Hwa Shin does not like this one little bit and blames himself. What will he be able to do to quell the rumors? He had already been instrumental in getting her a news anchor job and away from the weather job, for which she is extremely grateful. Pyo Na Ri tells him to let it go, that the people at work can simply go on believing that she is the one with breast cancer, but his pride won't accept that she might lose her job covering for him. Hwa Shin decides to do something quite dramatic to quell the rumors and to admit the truth: that he is the real patient who has had breast cancer. Hwa Shin has actually become a more noble, loving person since he fell in love with Na Ri. This is what K-dramas do best in the world: showcasing remarkable character growth and making unsympathetic characters ones you actually grow to care about during the course of the drama. Just when it looks like Pyo Na Ri and Hwa Shin can finally be together another twist of fate shakes him to his core. His doctor tells him he has become infertile due to his breast cancer treatments. How can he saddle Pyo Na Ri, who says she wants to be a mother someday, with a man who has had part of his chest removed and who now cannot father children? He tries to break up with her, but she is having none of it. Can they ever get their feelings squared away so that they can face their futures bravely, and together? Although this drama had some secondary characters and story lines, they were never in danger of distracting the audience away from the main couple's growing romance. Parts of the older characters' lives were funny, such as a chef named Kim Rak (Lee Sung Jae from The King's Face, Gu Family Book, The Suspicious Housekeeper) who called himself asexual to two women news producers / anchors at the broadcast station who fancy him, Kye Sung Sook (Lee Mi Sook) and Ja Young Bang (Park Ji Young), and the two women's competition to get to live with teenager Palgang whom both had mothered earlier in their lives while being married to the same man at different times, Hwa Shin's older brother who had passed away. Sung Sook is her biological mother and Ja Young her step-mother. Palgang is annoyed at both of them so she drags out her decision which busy "mom" she should live with. Before I began this drama I thought I would immediately bond the most with the second male lead Go Kyung Pyo because I had liked him in other dramas, but once I learned the first male lead's character had breast cancer I bonded with him instead and I was in his corner to win the girl the entire time. 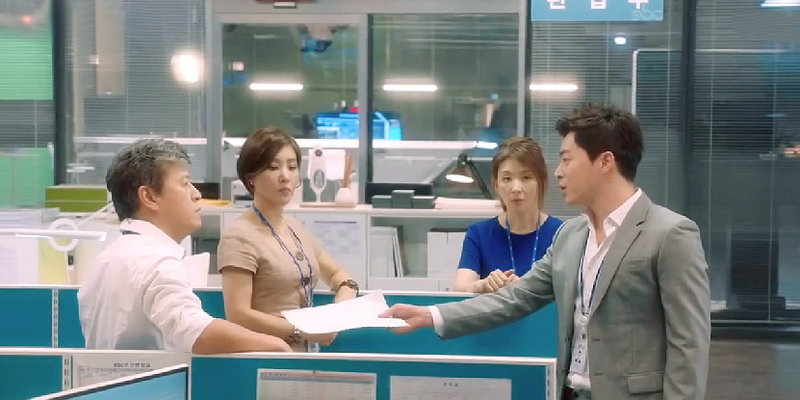 My favorite prior role of Jo Jung Suk had been in King 2 Hearts since I loved his faithful, chivalrous bodyguard character in that drama, but in this drama he surpassed himself. He did a great job portraying a man struggling with a subject that would embarrass and mortify most men who were afflicted with it. And of course Gong Hyo Jin was utterly fantastic in her role as Pyo Na Ri, no surprise there. I also loved the OST a lot, I think it's the second best soundtrack for a 2016 K-drama after the soundtrack for Descendants Of The Sun. I bought an official 2 CD set for it, even though it was pricey, coming from Korea. Don't miss Jealousy Incarnate, it's really exceptional. What was that old song? Torn Between Two Lovers?